MogoBlog MogoLicious Tasty Tip of the Day: This one is surprisingly good, and we can say this with some confidence – we genuinely made these ourselves last Easter and they were an instant hit. Not the lowest calorie coffee we’ve ever seen but worth blowing the diet for. Add prepared espresso, either toasted or plain marshmallow syrup, and white chocolate syrup in a latte glass. Finish with hot steamed milk and complete with some whipped cream and a few marshmallows for decoration. 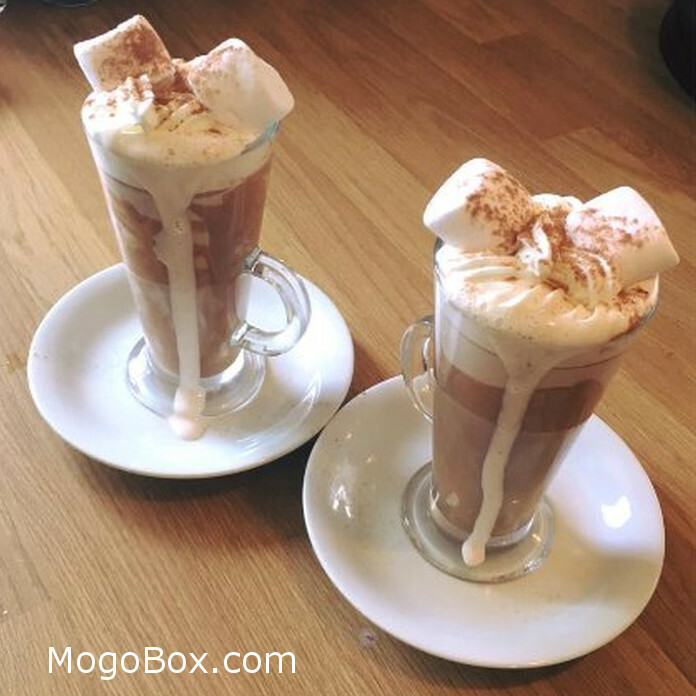 This entry was posted in MogoBlog, MogoLicious and tagged #MogoBlog, Coffee, Easter, Marshmallow, Mocha, MogoBox, MogoLicious.